We welcome you to participate in our first Indigenous Family Nature Walk, led by Cayuga Elder, Donna Powless, Director of Taiaiako’n Historical Preservation Society. 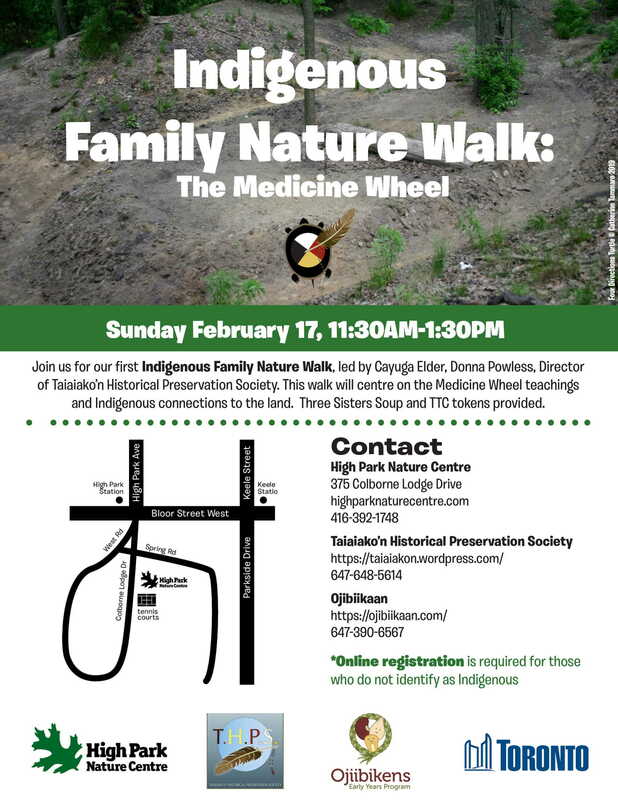 This walk through High Park will centre on the Medicine Wheel teachings and Indigenous connections to the land. After the walk, participants are invited to gather around a sacred fire to celebrate the warmth and beauty of midwinter and join in a feast of three sisters soup provided by Ojibiikaan. Transportation tokens available.